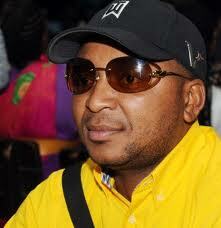 This past weekend the then “King of Sushi” Kenny Kunene was at Shoosh, Midrand. When Ntathe spotted Kenny, I was very amazed that he went as far as the down low of as I might say confirming that indeed he was broke by allowing himself to drink Hennessy, I mean even Ntathe does not drink that cheap Cognac. While the popular Dj Oskido was playing, I really don’t know the junk that Kenny was singing along him. After the entire claims that he used to do parties behind bars as well, hello MR, this is not prison where the state gives you things for free out of tax payers money; here you gotcha hustle or go broke. 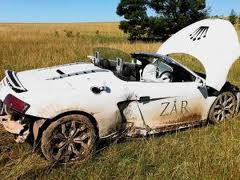 The only ZAR that is still doing well now is the one in Cape Town and I am sure that’s where all his balls, oops eggs are. Although the club is dominated by Nigerians making whack parties and events, but I side with Kenny money has to pop in. To add more to that the venue at Club ZAR in Cape Town is free provided that you’re going to make their turnover of the particular day you’re planning to host. Apparently he’s renovating his Club ZAR in Jozi, (Rolling eyes) and of course that’s according to him. LOL! You invited top politicians to your luxurious parties, now where are they with them tenders? Next time know who to impress or make friends with.